It’s that time. 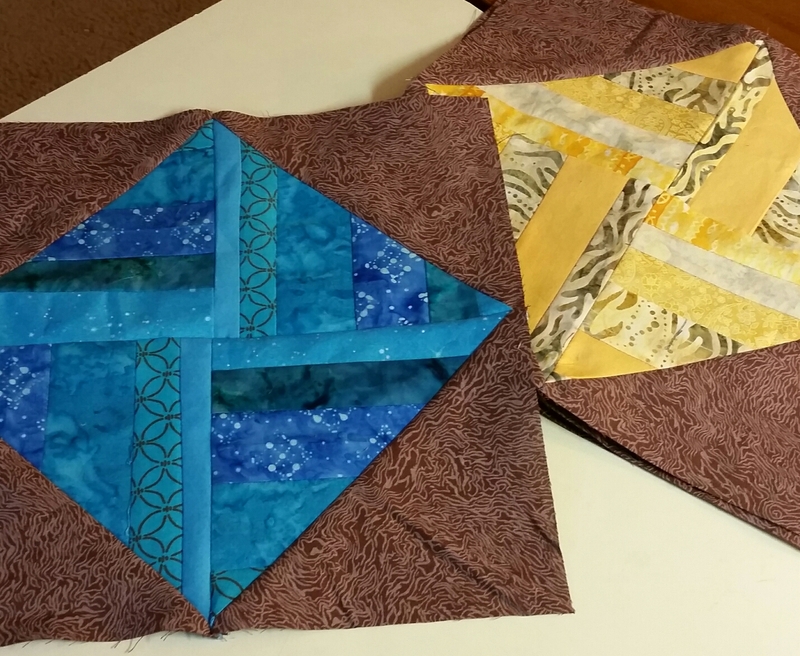 I’ve had a good year of quilting, both on my own and on a number of community projects. The year had it’s ups and downs, creatively, but you all kept inspiring me, pulled me into projects, and pushed me out of my comfort zone a few times, so this is what it looks like. I’m glad I have these photos (I seem to have lost a few), to prove that I did accomplish something, because my 2015 Goals don’t really show it. I did better on my December Goals, in spite of traveling. I’m mulling over these results, and I’ll be back in a day or two with some thoughts for 2016. 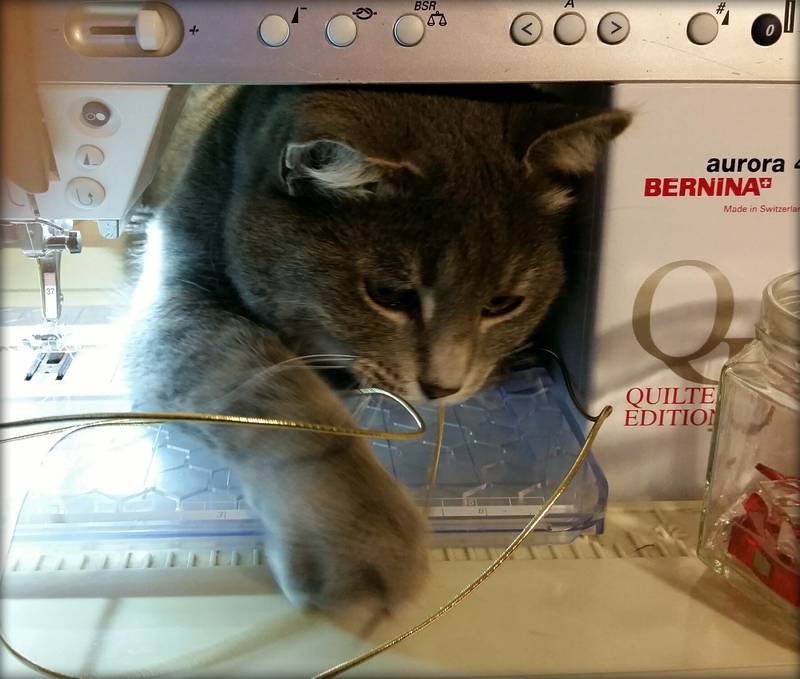 Remember, 2016 has one extra day, and I certainly plan to spend it quilting! 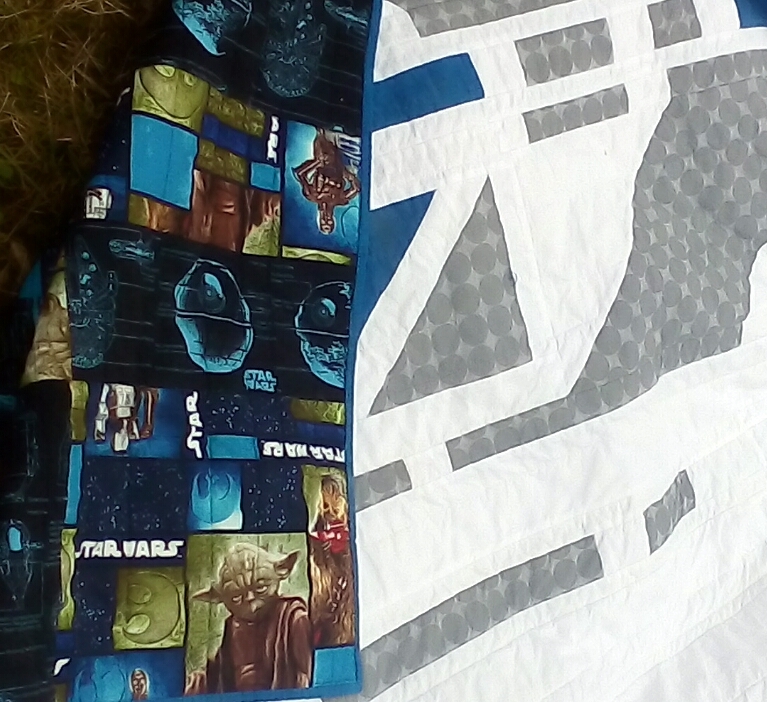 Yesterday I finished the twin-sized Droid quilt from The Stitch’s Droid Quilt Along. 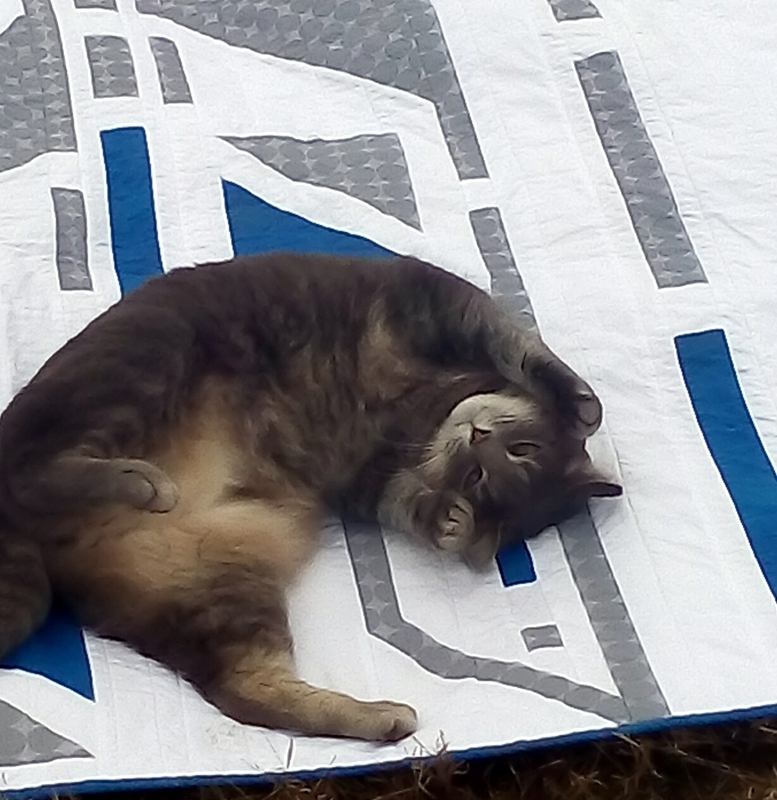 It used nine and a half yards, but I did need to buy an extra half yard of the white Kona background. 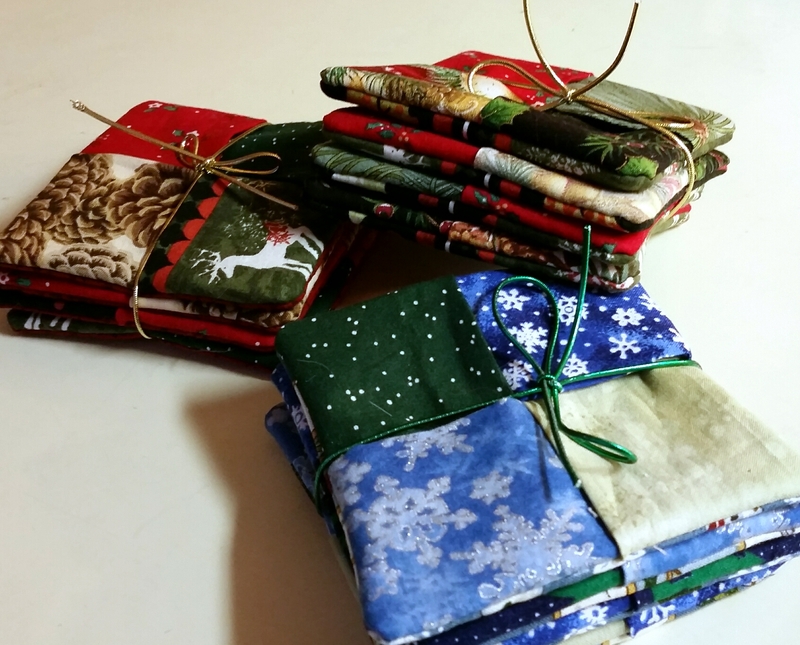 This concludes my Christmas sewing, just in time. I experimented with using my tablet for these photos, not too impressed. 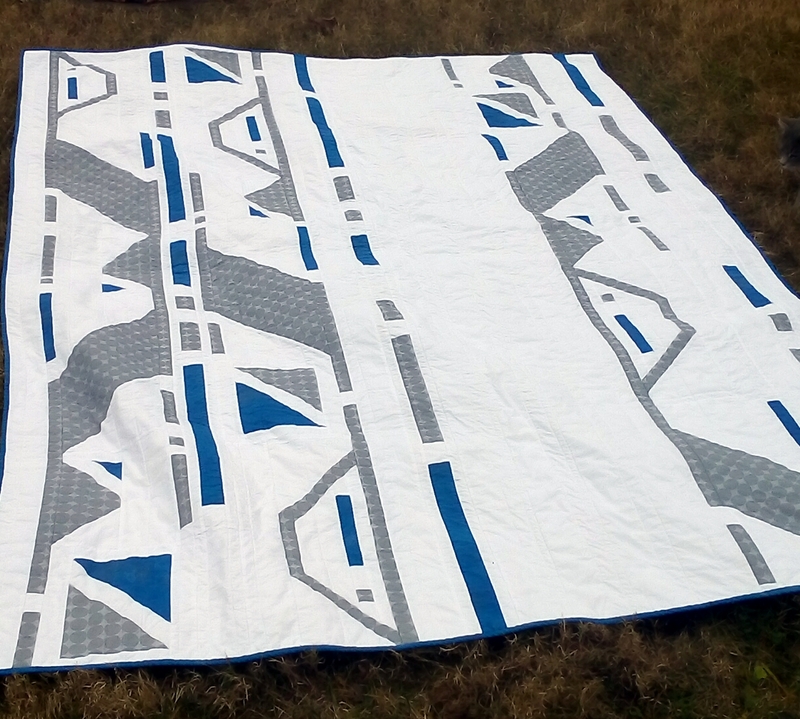 I really like the vertical straight line quilting, but as always with walking foot quilting, it seemed to take forever, and that long quilt got heavy on my shoulders. I used two classic Star Wars prints for the backing, pieced in a giant Disappearing Four Patch. And, of course I had it officially tested. It passed! We’re linking up to Judy’s report at Patchwork Times.